Somehow my body is now “Camino adjusted”. I’m on my fourth day without pain killers, fifth day walking 30km and six days in my new shoes. Today is our 20th day walking, how I wish I could have hit this plane of fitness– passed the Camino’s “physical” test– sooner! I wonder how my walk would have been different, if I had not only just started feeling “as myself” 5-6 days ago. I know that my first 10 days were a burden to Krysti– when I ask her to imitate my appearance during that time she hunches over as though carrying a weight, stiffens, and walks painfully– determinedly– face pensive, focused and grim. All my thoughts at that time were inward, all my songs all my prayers– inward. I was needy, and all my needs physical, and pressing. Who was there to be Krysti’s partner in the adventure, to find and delight in the moment, and just to laugh? Thank God for Felix, he was a gift to both of us; Krysti doesn’t know how she would have made it during those first days, husband out of commission, without Felix’s light-heartedness and nineties music. Too bad he had to leave for the Pride parade in Madrid, but I am certain he was given to us for that time specifically, to complement what God was choosing for me. 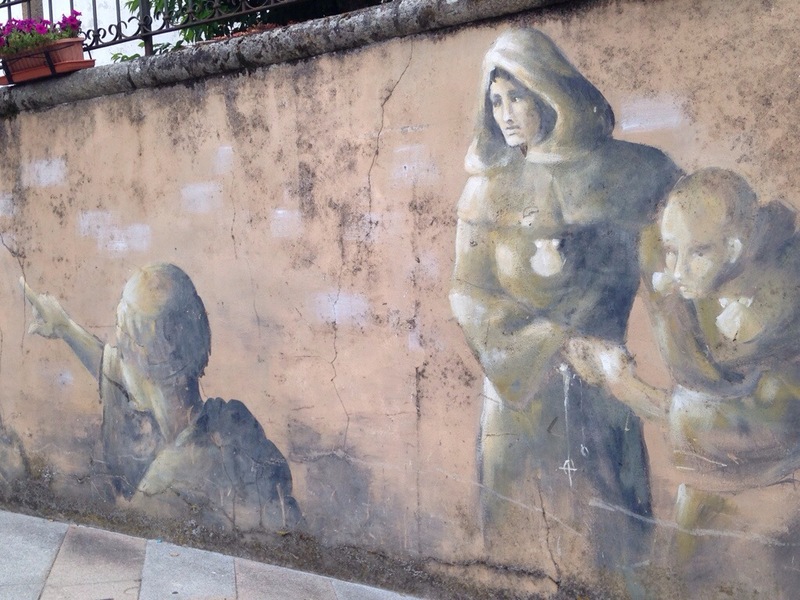 My reflections about the whole Camino and its meaning for me is starting to come, in spite of its not yet being over. Perhaps this indicates presence of mind, which I’ve been longing for. 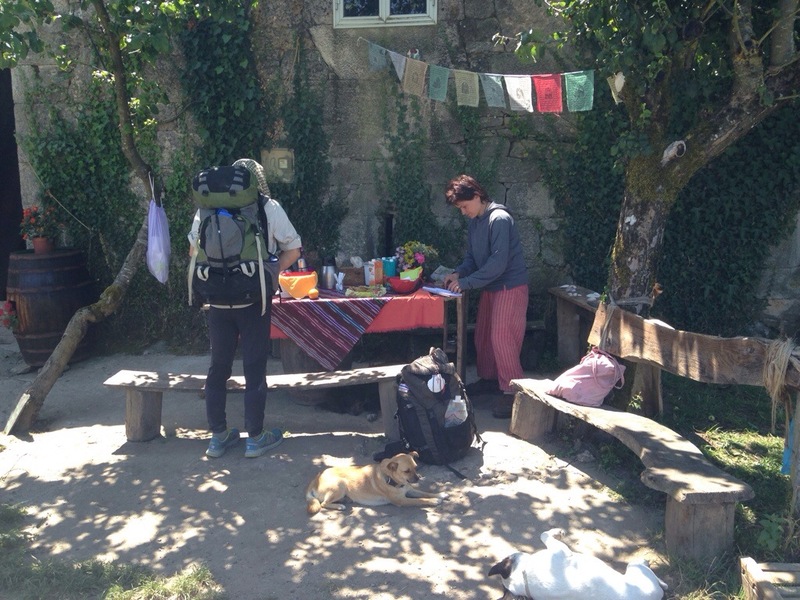 I have thus far realized that on the Camino I expected to seamlessly transition into a new way of life from the one I was leaving. This mindset in miniature on the Camino represented my cavalier transitioning at larger scale; from one position of professional influence to another in a different field entirely. 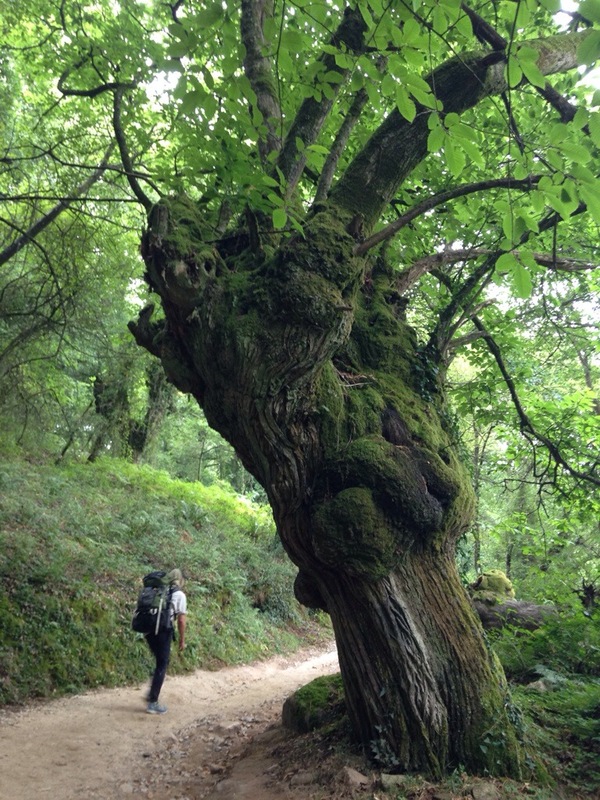 The Camino resisted me step for step in this approach to change. Instead of finding perfect readiness for the Camino, I was confronted with my unsuitability for it. My bag too heavy, my feet broken down, my itinerary projectized and my thoughts wishing to be everywhere but with me in the present. Instead of breaking new ground for my future, I myself was broken. Yet this was what was suitable for me on the Camino, it teaching me to live in the present, not the future. And I think I would have been equally tempted into the past on this walk. I have caught myself a few times forging new ideas for my staff team or my program. But broken down feet have facilitated me to make a clean break with what is no longer mine to plan or provide for, urging me to live in the present and listen to my body. It was a lesson I did not enjoy to learn but now that I have learned I feel cared for in a strange way. Posted in Camino de SantiagoTagged pain present lessonBookmark the permalink. Hey guys, hope your trek is doing awesome, because it sure look like it! My mom and I are just curious as to when exactly you’re returning so we can make the proper preparations! Let us know!